Ipod fatigue is a real problem and rather than turn to big pharma for a pill, you have discovered the joy of streaming Internet radio through your Internet enabled Smartphone. Now to enhance your listening experience you will want a stereo Bluetooth headset with hands free for your phone calls. 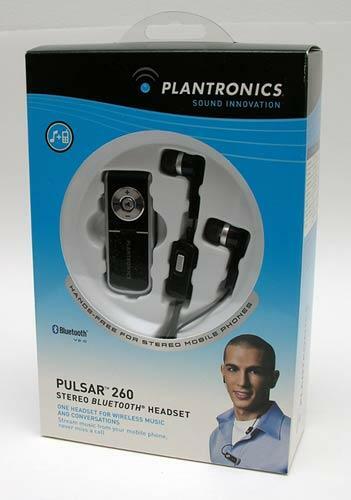 If you don’t mind a few wires the Pulsar 260 Stereo Bluetooth Headset may be for you. The ear buds have soft sound-isolating tips that conform to your ear. Included are 3 tip sizes. I found the fit to be comfortable – after a few minutes you forget that you have them on. They actually block sound so well that you need to pull one out to carry on a conversation least you be labeled antisocial. Fortunately the ear buds are tethered so you won’t ever lose one of them. The pendant weighs just about nothing, can be worn on a lanyard (included) or clipped to your clothing. Very light and nice. You don’t get the ball-and-chain effect of being tied to a heavey mp3 player. Your Bluetooth phone or music device can be up to 30 feet away. Here is something interesting; the pendant sports an audio-out and cable (included) to source your mp3 or Internet radio stream to your car stereo or any other powered speaker system that can accept a stereo mini plug. The 260 comes complete with a charger — but of course you forgot to bring it with you on your business trip. No worries – the pendant can also be charged with any usb cable (not included) right off your notebook. 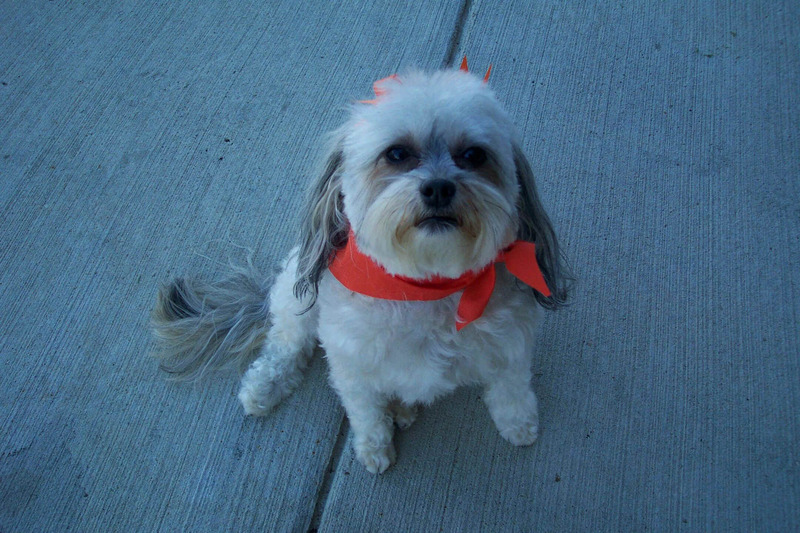 While walking my shitsapoo (really my daughter’s dog… but guess who walks it). I was listening to the Robert Scott Bell show with the Plantronics Pulsar 260 and my Motorola Q smartphone. The Robert Scott Bell show is the most informative and compelling medical health show on the Internet. A must listen that airs live Sunday afternoons for 3 hours. As the dog is tugging on the leash, I needed to make a quick call and clicked the phone button on the mike. To my surprise “voice command” (on the Q) asks me who I wanted to call. The Buetooth mutes the talk show as the phone dials. The 260s phone quality is very good for both transmitting and listening. My party hangs up and a few moments later The Robert Scott Bell show is back on again — all without fiddleing with my smartphone or the dog. Plantronics makes audio equipment for professional pilots and air traffic controllers. It stands to good reason that this headset would be a of good quality. I have no complaints. Simple to pair. Battery life is excellent. Works well with my phone. I change the station to Radio Paradise and Logic of a Friend by Badly Drawn Boy is playing. Nice song. 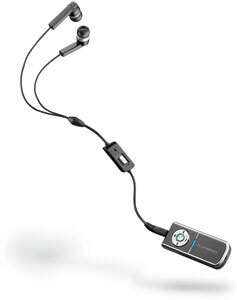 The head set is very clear and sounds great for either music or talk shows that you can find on TalkStreamLive.mobi. They are both really easy to use and sound great though.